Your business needs a mailing list. You do know that. 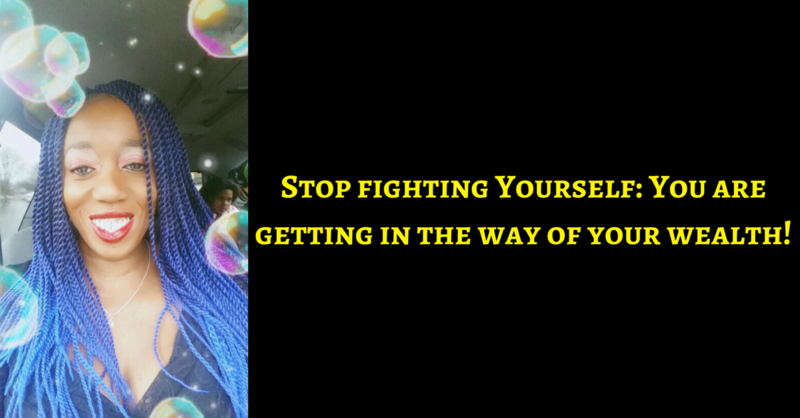 And for 2017, if you are determined to grow your business then you must choose to stop avoiding it! Yes, you could simply ask people to give you their email addresses so that you can send them regular updates about what is brewing in your business but why the heck would that be enticing? Now, it might be, if you are Oprah or something but while you are building up your empire and fame, you may need to give your people a little more incentive than that. Get a picture of your person in your mind and think about what solutions they are looking for or what problems they want to get away from. Pick one thing. Come up with a list of 3, 5, 7 or ten things they can do to solve the problem and write it in a word document, save it as a PDF (or record a video of you talking them through the points) and voila! Lead magnet created! Offer it in exchange for their email address. You could literally start doing that on Facebook today. Ask them to PM you their email address. The sole purpose of this webpage will be to collect those email addresses and maybe, names to add to your mailing list. On your site, right now or use a service like leadpages, create a web page with a headline – FREE Report: X Ways to blah, blah, blah and then list 3 bullet points detailing the benefits of downloading the pdf and if you can have an ending statement to the effect of “If you are _______ who wants to go from being_______ to having ________ then download this report now” (a nice simple call to action. Have a sign up form on the page as well, connected to your email marketing provider. And now you have added some automation to your business. Now you can simply tell people to go download it on this page. You are writing blog posts, aren’t you? Great! Now, add a PS to every single thing you write inviting people to grab your free report. Write, write, WRITE! You want qualified people on your mailing list, right? People more aligned with your way of doing things, right? Then write and tell them your way of doing things and trust that if someone reads all the way to the end of your blog post and then signs up then they are more likely to be interested in your thing that someone who sees a simple, short form advert who signs up to your mailing list but basically is cold to you. 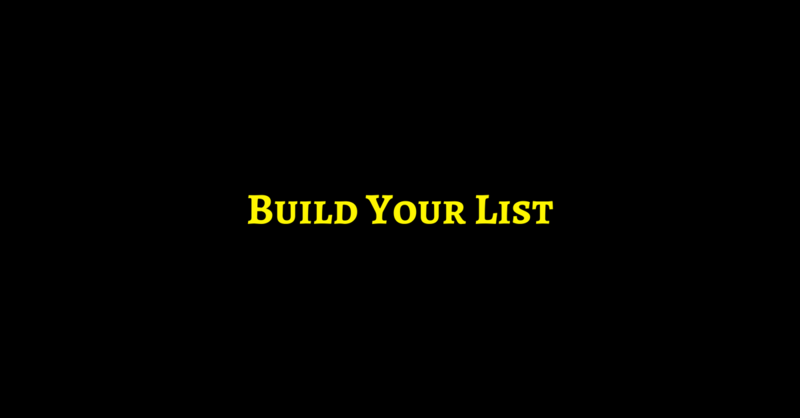 You will get nowhere if there is no solid intention made for list building daily. Just 15 extra people on your mailing list a day will give you 5000 people in 12 months and if the stats prove to work in your favour, that could be an extra 5k in your pocket each month – How cool would that be? Chant it with me – 15 a day, 15 a day, 15 a day! And then open yourself up to different ways to meet that goal and act on the intuitive nudges that bubble up within. What blogs else are your people reading? Go write something for them. Do a google search for blogs in your area of expertise and see if they accept guest writers. If you cannot find anything on their site, simply send over an email or leave a comment asking the question. What of magazines in your niche? Could you write for them? Simply submit articles until you get accepted. Don’t sweat any rejections. Every super successful person faces rejection but they then go on to win through it! So, you have friends on Social media, right? Well, ask them for help. Ask if they would be willing to share your offer on their profile for you. they can say no if they want but you simply need to ask – THEY JUST MAY SAY ‘YES!’ and they could help you reach more people than you thought possible. Are there blogs out there that do not accept guest blogs but accept adverts? then advertise. Find out what the rates are and where the ad would be placed. And then, get the image done on Fiverr.com and get the advert up and running as soon as possible. Make sure you haggle a little on the posted price but ultimately see the bigger picture for you – Access to an audience that you would have struggled to get in front of, on your own. Get an advert up and running as soon as possible within the adverts manager. Yes, you can also use the ‘Boost Post’ option but I like to get very specific with my audiences and so the adverts manager is preferred and there are considerably more options available like Website conversion and clicks to website and collect leads, rather than just a simple post engagement advert. Be brave, explore and put some money on an advert. No, this is not some gamble but you learn by doing, not by reading about it. Also, write a longer post to try and qualify people before they sign up. The downside of these is the VERY short advert though it does force you to get very precise with wording. However, buyers are more easily located on search engines because if someone has put in a specific keyword phrase that you are bidding on, like ‘Buy wooden Toys” and you have a lead magnet explaining the superior benefits of wooden toys then you know that this person is likely to buy your wooden toys, right? So you can get very specific about what people want using search engine advertising. Facebook is all about the type of person which may or may not mean they are ready to buy. So there you have it – 10 ways to supercharge your list building efforts. Now, over to you, to stop overthinking and start implementing. Fight for, deliberately design the life you want to live. And honey, I created a detailed eBook for you showing how to REPLACE YOUR INCOME by building your own profitable online business. Do find out more here at Rosemarynonnyknight.com/replaceincome.